Cigar Vixen Top 5 Cigars of 2018 — Micallef Cigars, LLC. 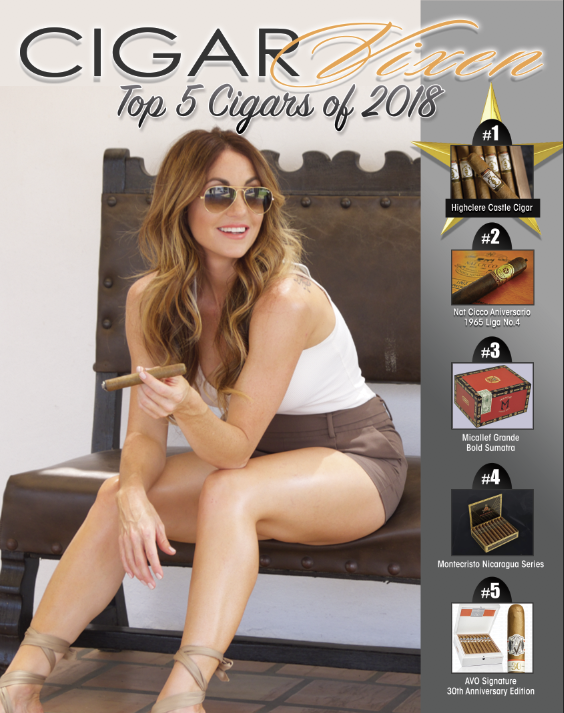 Grande Bold Sumatra 554S Robusto ranked #3 cigar in Cigar Vixen’s Top 5 cigars of 2018! Congratulations to the TOP 5 CIGARS of the year!! #1 Highclere Castle Cigar #2 Nat Cinco Aniversario 1965 Liga No.4 #3 Micallef Grande Bold Sumatra #4 Montecristo Nicaragua Series #5 Avo 30th Anniversary Watch the video below to learn more about these cigars.